Between 1947 and 1956, approximately 15 copies of the "Book of Jubilees" were found among the Dead Sea Scrolls. This is second only to a number of Psalms, Deuteronomy, Isaiah, Exodus, and Genesis, and far greater than any other extra-biblical text found there, including "The Book of Enoch." Since AD 382, when Saint Jerome began his historic revision of the Latin Bible, up to the present day version of these works, the books known collectively as the Biblical Apocrypha, or simply "the Apocrypha" have been distinguished by controversy, acceptance, inclusion, exclusion, and curiosity. The word "Apocrypha" originates from the Greek word apókruphos; which means "hidden", referencing to its selective state in different renditions of books - consequently, many have sought to discover why this is so. By: Robert J. Bagley M.A. 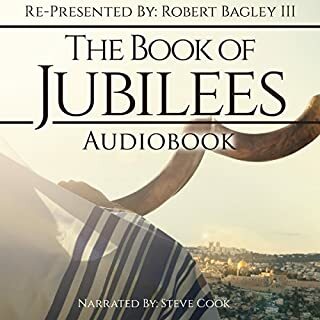 This Apocrypha Audio series contains The Apocrypha, The Book of I Enoch, and The Book of Jubilees. You will hear the number one best-selling narrator, Steve Cook, bring life to these timeless manuscripts that have been enjoyed for millennia. That, which is usually presented as the first 36 chapters of The Book of Enoch was originally known as the Book of the Watchers and dates to around 200 BC. This translation of the Book of the Watchers comes to us from notable scholar of apocryphal literature, R. H. Charles, who published it in 1917. 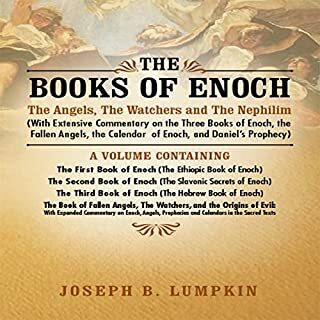 The narrative of the Book of the Watchers is told from the point of view of Enoch and not surprisingly focuses on a class of angels known as the Watchers. Following in the apocalyptic visions of Daniel, Ezekiel, and Revelation, The War Scroll reveals the conflict between good and evil in the final days of mankind. The War Scroll is a very important piece of literature in our understanding of the concepts of divine justice and retribution held by the Jewish community of the Essenes and the Qumran Community in the time of Jewish persecution by Rome. The scroll reflects a belief that in the end times, evil would be eradicated by the Power of God and his Sons of Light. 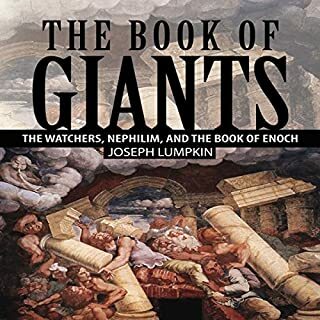 The award-winning translations and commentary done by Joseph Lumpkin on The Books of Enoch and The Book of Giants: The Enochian Library containing 1 Enoch (The Hebrew Book of Enoch), 2 Enoch (The Slavonic Book of Enoch), 3 Enoch (The Hebrew Book of Enoch), The Manichean and Aramaic versions of Book of Giants, with information and insight on the Watchers, Nephilim, Grigori, Giants, the Fallen Angels, Enoch's prophecies, and the Calendar of Enoch used in Daniel's prophecy, all in clear and easily understood language. The Holy Spirit inspired Jude to quote Enoch for a reason. The Ancient Book of Enoch opens by addressing those in the Tribulation period. It contains numerous prophecies about the flood and fire judgments and the two comings of the Messiah. It teaches that the Messiah is the son of God and that he will shed his blood to redeem us and even predicts the generation that this would occur. 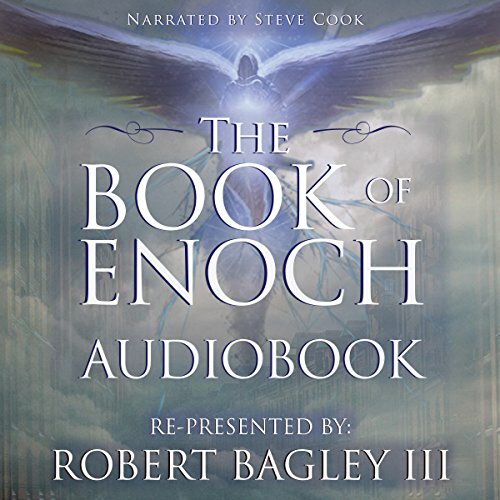 This is the full, uninterrupted audiobook reading of I Enoch (or First Enoch) - read with the passion this masterpiece deserves by number one best-selling voice talent, Steve Cook. Why is The Book of Enoch so important to anyone interested in Biblical history? The answer is simple: It is directly quoted in the New Testament by Jude (vv.14-15). Themes of the book referenced in 2 Peter 2:1. Jesus also used content from The Book of Enoch in many of his sermons in Matthew and Luke. The first 36 chapters have been considered scripture in the Ethiopic Coptic Church (a church that ascribes their founder as the Apostle John). It was one of the most significant Jewish Pseudepigrapha (writings ascribed to someone other than the real author). It is believed that The Book of Enoch was taken out of the Jewish Canon by the Sanhedrin just after Jesus' death because of the prophesies they thought pointed to Jesus as the Messiah. However, The Oxford Dictionary of the Christian Church states, "...this view has been increasingly questioned, especially since the discovery of the Qumran fragments [where Dead Sea Scrolls were found]; for although all the other sections of 1 Enoch are well represented in these fragments, the messianic chapters (37-71) were not represented at all. Nor are they represented in the Greek and Latin fragments. It is probable, therefore, that they are a later (Christian) insertion into the Book and that it was the New Testament which influenced them rather than vice versa." In this text, you will hear the word of God through this amazing document. We will take this amazing journey together and learn why this text is not an official book of the bible as well as other amazing fun facts and surprises. So put your hand in mine and walk the same path that I walk as we enter into The Book of Enoch. Very informative, it gives insights into the way it was in the Days of Noah, before the flood. I have played this book multiple times and read along with the book of Enoch... Its a must have. 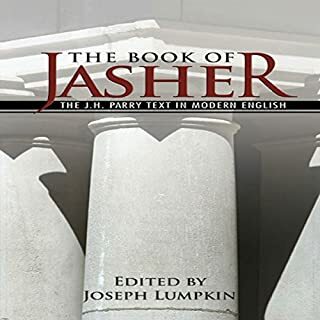 Now Im waiting on the book of Jasher next in audibles hopefully they will get it soon. I really enjoyed this book. It took me places I can only hope to see in my eternal life. The way the narrator described the visions and/or experiences that Enoch saw was incredible. I felt as if I was there and could really picture all of it. Very informative and believable. Originally, I had picked out The Book of Enoch by a different author/narrator and disliked it so much that I had it completely removed from my device. I wanted no part of it. After listening to this particular book I knew I had made the right choice. It just felt right. Like the books of the Bible I felt as if this book had been written with Devine inspiration. I would highly recommend it to anyone who is interested in the books of the Bible and the Dead Sea Scrolls. Great read & great narrating! The Book of Enoch is a must for anyone who is compelled to seek hidden truth. if this book were made a regular part of study in today's churches, gross disrespect for the Creator's name and disobedience to His commandments would not be as prevalent as it is. I love that I was able to finish this book in one day. It was very interesting and a great addition to my studies. Amazing and disturbingly accurate celestial calc. Love this book! written for a time such as this! Interesting preface comment reguarding the Sanhedrin de-canonizing chapters 37-71 I wonder if it was their copy of the scroll of Enoch that they thought was corrupted after crucifying their Mesiah?This book was amazingly intensified due to my companion read wile journeying through chapters 71- end. I recomend Zen Garcia's book titled The flat earth as key to decrypting the book of Enoch. the stellar clock work is accurate as seen from above by Enoch. I've been a heliocentric astronomer for 20 + years and needed to see what Enoch was seeing to decrypt chapters 71 forward. amazing!!! The book states that it was written not for his generations but a generation far into the future, the last generation. a generation under powerful deception, controlled by demonic forces, a-moral and proud of it. It was a wild ride and I've listened to it several times now. much wisdom found within. I'm convinced this book was de-cannonized and hidden to help humanity stay asleep and to keep people of faith weak in their walk. Thank You for sharing this precious ancient knowlege. You need to be a mature Christian before you read this book. This is very true concerning the last parts of the book that talks about sheep. 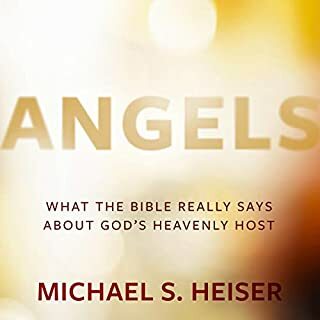 The best parts covers the different types of angels and the description of God's thrown. I plan to re-read this book a couple more times to hopefully understand this book to the fullest extent. 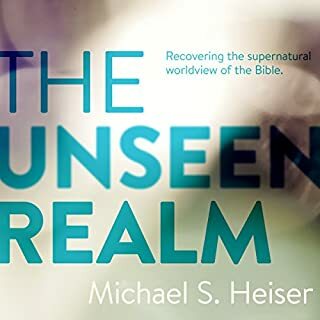 This is a must listen audio book because it allows you to listen to what the church have for some reason had removed from the bible ? This audio book allows you to formulate a good foundation in forming your own ideas on religion and allows you to wonder how we have got to where we are !!! any one seeking spiritual guidance should read this. allow your mind to explore the impossible. This is a corrupted translation which when I had eaten it my stomach became bitter.